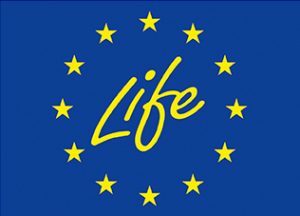 Nature conservation activities of project LIFE STRŽEN will be implemented in the central part of Cerknica Lake, which is included in two Natura 2000 sites. Natura site Cerkniško jezero (SI 5000015) was established based on the Birds Directive, whereas Natura 2000 site Notranjski trikotnik (SI 3000232) was established based on the Habitats Directive. From the viewpoint of the number of qualifying bird species Cerknica Lake is the second most important Natura 2000 site in Slovenia. On the European level this site is important for the conservation of 33 bird species. One of them is the bittern. Cerknica Lake is also included in the Natura 2000 site Notranjski trikotnik. This site extends over the boundaries of Cerknica Lake into a part of the mountain Javorniki, Rakov Škocjan valley and Planinsko polje. The site is included in the Natura 2000 network due to the presence of 21 species, endangered on the European level, such as the wolf, brown bear, lynx, otter, proteus and Morimus funereus. In addition to the mentioned species, the site is very important because of the presence of 12 habitat types, including the priority habitat type Turloughs (HT 3180*). Cerknica lake is the largest intermittent lake in this part of Europe. It accounts for 60 % of this priority habitat type in the alpine biogeographical region. Cerkniško polje is a karst field located in central Slovenia on the elevation of around 547 metres above sea level. On average, water spreads over the surface of 20 km2 for 8 to 10 months in a year. The lake fills up when the inflow of water from the underground exceeds the outflow of water to the underground. It is filled up in only a few days, whereas the discharge of water takes several weeks. Periodic flooding and draining of Cerknica Lake has created and determined typical specific ecological conditions. For this reason, the prevailing habitat type on Cerknica Lake is the priority habitat type Turloughs (HT 3180*). Some project activities are aiming to improve the conservation status of this habitat type, which is incredibly rare in Europe. Other activities are focused on improving the conservation status of the habitat of the bittern, since the bird’s only confirmed nesting area in Slovenia is on Cerknica Lake. Activities for redirecting visitors with the goal of reducing their negative impact on the target species and habitat type. 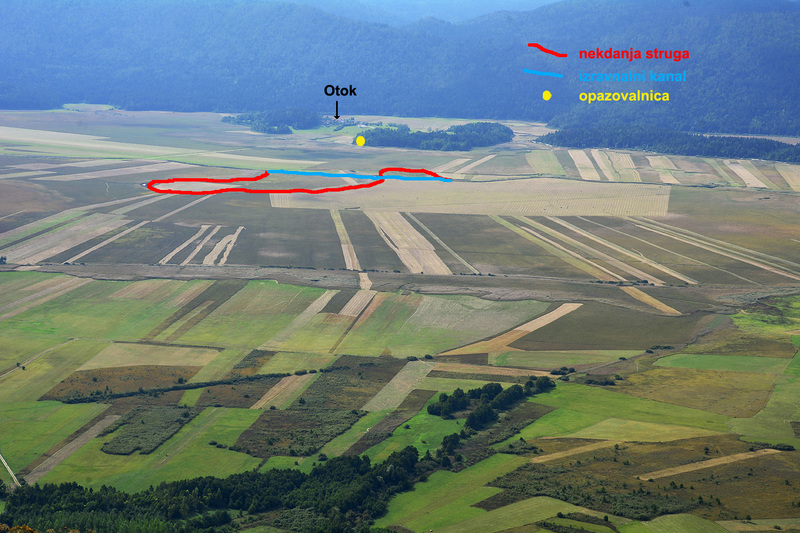 Comparison of the restored sections of watercourses Tresenec and Goriški Brežiček and the area of the planned restoration of watercourse Stržen.